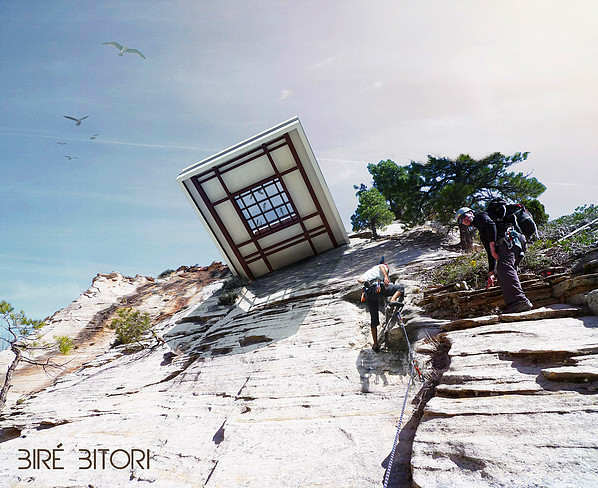 Would You Dare Eat At This Restaurant Hanging Over A Canyon? 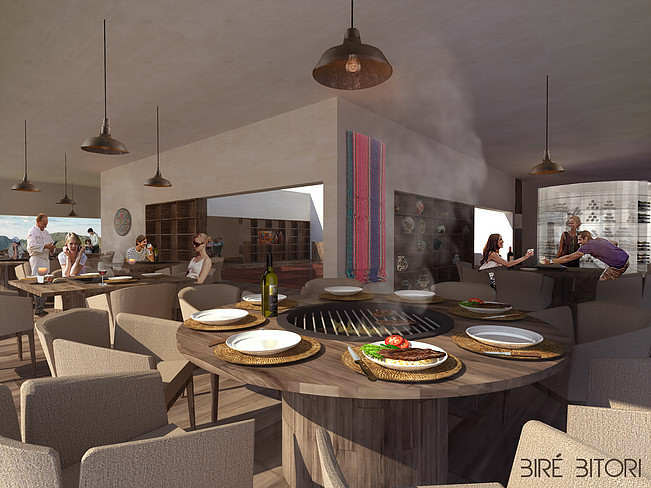 Foodies with a head for heights, as well as a passion for a good meal, will love this new opening, but anyone who suffers from vertigo may want to give this place a miss. After all, you don’t want to puke up your expensive dinner. 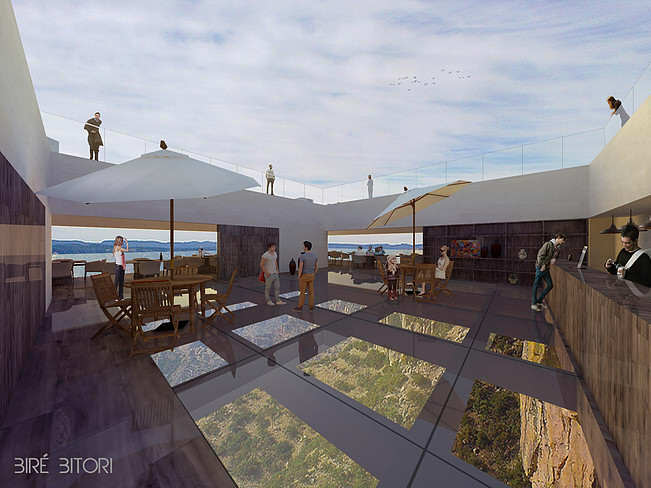 This newly launched restaurant adds a new dimension to the world of dining, specifically the third dimension, as it dangles hundreds of feet over a massive canyon, the Mirror reports. 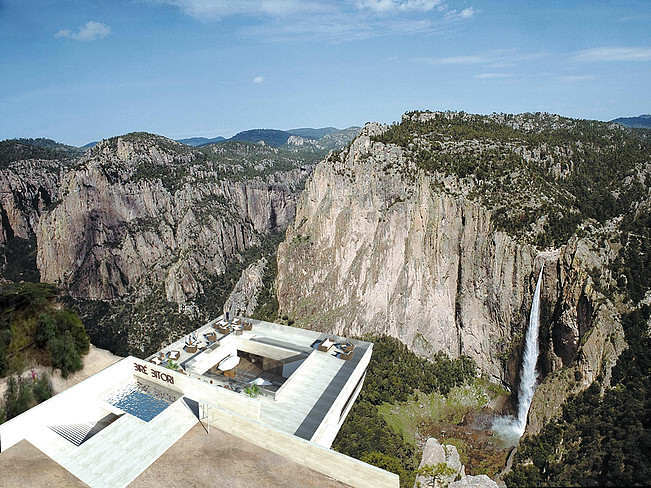 The Copper Canyon Cocktail Bar overlooks the stunning Basaseachic Falls of Mexico with an amazing two-levels, including bar and dining area, with tables positioned to make the best of the precarious views. 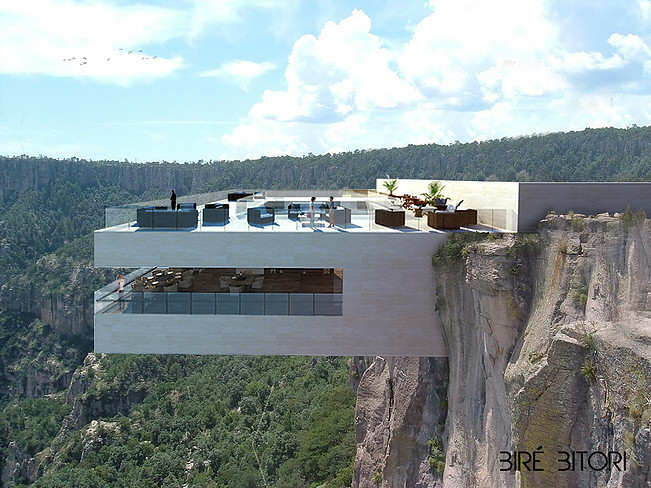 The restaurant at the edge of the canyon has been designed by Tall Architects, and there’s even a glass floor to offer those with the stomach for danger an even more exciting view. Up on the observation deck, there’s a swimming pool and a bar, just in case you need a stiff drink by then to calm your nerves. The world’s highest restaurant is currently At.mosphere on the 122nd floor of the world’s tallest building, the Burj Khalifa in Dubai. The bar is accessed via a minute-long lift ride in a private chrome and glass lift offering views across the United Arab Emirates city.